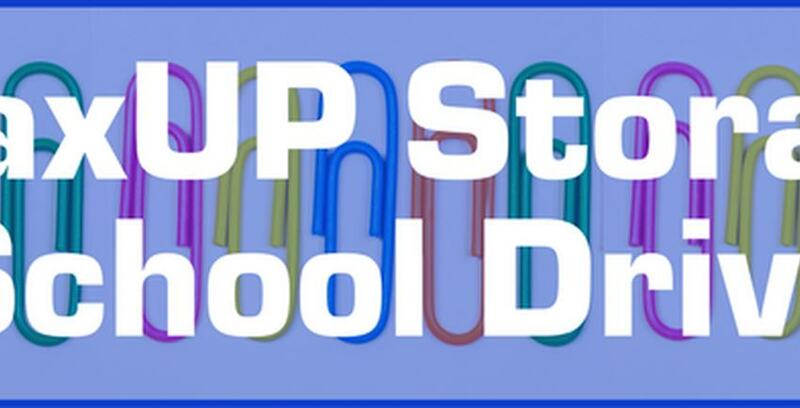 The StaxUP Storage School Drive is on for 2017! At participating facilities in the StaxUP Storage family, we are accepting donations to help needy students in Southern California go to school in the Fall of 2017 with the supplies they need to learn! The staff at StaxUP Storage – Alpine Tavern with the donations they collected during the 2016 School Drive. Contact your facility manager or swing by the office to see if your StaxUP Storage location is participating. StaxUP Storage is proud to help Southern California’s neediest students every year, and this year is no different! All StaxUp facilities will be participating except for our facilities in Murrieta and Menifee. The team at Ballpark Self Storage and the donations they received for the 2016 School Drive. The team at StaxUP Storage Homeland and the donations they collected for the 2016 School Drive.